Cricket is constantly evolving and technology has changed or shaped many aspects of the traditional game. However, since it is the only sport in the world where captain has a big role on the pitch as far as tactics and gameplan is concerned, allowing radio conversation (via earpieces) between coaches and skippers will kill a charming aspect of the game, writes R Kaushik in his weekly column, On the Ball. The International Cricket Council (ICC) banned radio communication between coaches and skippers on the field after Hansie Cronje-Bob Woolmer earpiece interaction during South Africa’s 1999 ICC World Cup opener against India in Hove. It’s the 18th over of Sunrisers Hyderabad’s run-chase against Delhi Capitals at the Feroz Shah Kotla, the visitors needing 16 to win from 18 deliveries. The Capitals’ young captain, Shreyas Iyer, has a couple of options to summon against Yusuf Pathan and Mohammad Nabi, and seems to have settled on the leg-spin of Rahul Tewatia when Ricky Ponting, the head coach, springs out of the dugout and unambiguously signals that Iyer should go with pace instead. After all, Pathan is an acknowledged marauder of slow bowling but not so comfortable against the quicker stuff. So Chris Morris it is, then. It doesn’t matter in the end, because Sunrisers surge to a five-wicket win, but that little exchange lasting less than five seconds opened up an interesting discussion. Is it time for coaches to have a greater say in on-field decision-making, especially in the hustle and bustle of 20-over cricket where the skipper is saddled with so many other responsibilities? Interestingly, in one of those strange coincidences, a few of us cricket tragics had spiritedly debated precisely this topic while watching another IPL game a few evenings previously. 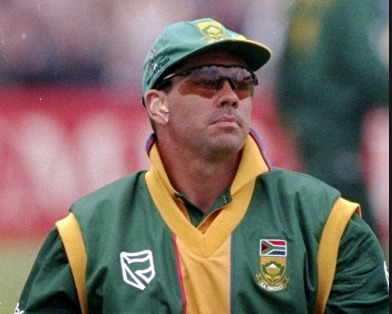 We touched upon the Hansie Cronje-Bob Woolmer earpiece interaction during South Africa’s 1999 World Cup opener against India in Hove, a tete-a-tete that was swiftly nipped in the bud by the International Cricket Council (ICC). At the time, there was nothing in the rules that prevented communication of that nature. Subsequently, the world body has banned the use of such devices. Is it time for a rethink? Is it time to offer the fielding skipper, or the batsmen in the middle, greater options to explore, more choices to embrace, specifically in the T20 format? Does it add to the spectacle that the slam-bang format clearly is, or does it take away another slice of the human element that cricket is shedding at a rapid pace? One of cricket’s undying charms emanates from the unique status conferred on the captain of a team. Unlike in most other sports where the skipper’s role once action starts is restricted to his performances as a player, cricket necessitates the captain to make game-altering decisions, many of them in the bat of an eyelid and under extreme pressure. Captaincy in cricket extends beyond going out for the toss and deciding whether to bat or field. It envelops deciding on field placements, on bowling changes, on adjustments to the batting order, on setting the right example when it comes to body language, on assuming the responsibility for on-field conduct. Invariably, the character of a cricket team is shaped by the individual against whose name (capt) is emblazoned. Not too many other disciplines have eulogized and celebrated skippers/leaders like cricket has. Few, if any, have merited a place in the side on leadership skills alone like Mike Brearley, him with a ‘degree in people’ did in the late 1970s and very early 1980s. Brearley married his tactical acumen with man-management skills, his hand in turning Ian Botham’s — and England’s — fortunes around during the home Ashes of 1981 well documented. Were he to still be playing today, how would he, as captain, react to the coach literally being in his ears, handing out instructions couched as suggestions? And how would that impact the captain-coach dynamics, especially if the skipper were to ignore almost every suggestion from beyond the boundary? Sport in general helps shape characters and personalities. It hails and rewards good conduct as much as it does good performances, fostering togetherness and teamwork, helping one identify right from wrong. Cricket, the reasonably simple and yet remarkably complex game of bat and ball, encourages all these, while also providing a platform for leadership. Whether Mahendra Singh Dhoni would have gone on to become Captain Cool had he been overloaded with inputs from coaches of various ilk is open to question. John Buchanan’s misadventures with Kolkata Knight Riders in 2009, when he unsuccessfully tried to propagate a structure involving multiple skippers, among other things, is a case study in where the coach’s role ends and the captain’s begins. An additional, semi-detached head just outside the cauldron of battle always helps, of that there is little doubt. American sport promotes two-way communication, and France used the same tactic on their way to wearing the 1998 FIFA World Cup crown. In tennis, on-court coaching is allowed on the WTA Tour, and was adopted on an experimental basis at the Next Generation ATP Finals in Milan last November. In both badminton and table tennis, players can confabulate with their coaches at the end of each game. Even in cricket, and especially at the schools’ and junior levels, the coaches are also captains in a manner of speaking, remote-controlling proceedings and inadvertently or otherwise stifling the creativity and development of the young charge entrusted with the symbolic armband. There definitely is a case for a friendly nudge, a well-timed nugget of advice, from the dugout or the dressing room, in team sport. It isn’t uncommon for football managers to be prowling the touchlines, constantly screaming out instructions that might not even reach the intended target, given the insane decibel levels at most of the high-profile leagues. But unlike in cricket, the coach/manager is the ultimate boss in football, and in most other team sports. Have we heard, for instance, the individual donning the armband deciding to switch formations in the middle of a football or hockey match? One of the requirements of a good cricket brain is the ability to cut out the noise around you. That’s an impossibility when you are all wired-up. The coach won’t, obviously, be talking non-stop; the argument for the skipper to be able to follow/seek out advice isn’t entirely without basis, but I am not sure if the earpiece mechanism is the route to follow, especially in the longer durations where a dash by the substitute with a superfluous bottle of water will work just as well. This isn’t about tradition or sanctity. As an ad for a popular liquor brand goes, ‘Tradition is what used to be’. Cricket has already welcomed changes galore, including Test matches at night and a bizarre 100-ball format that will soon see the light of day. But let the earpieces be. Let them be with the umpires. Let the captain be the boss. Let him call the play. As it is, there are few other sports where that happens.